Some concepts come together to make turkey herding simple if not easy: ‘The wing’, 'the flock', and personal space. 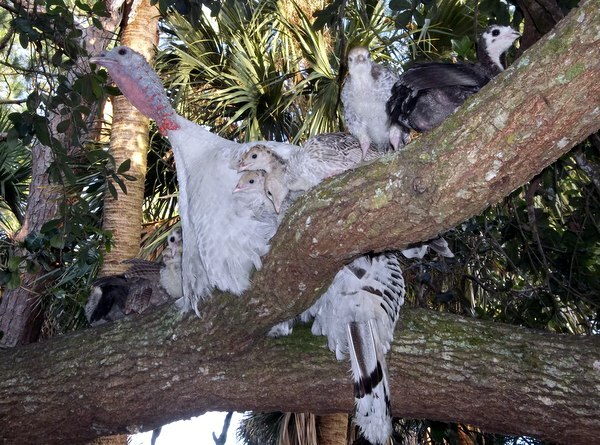 Consequently due to the high population density of these efficient predators many people around central Florida “Free Range” their turkeys and chickens during the day and pen them up at night. So how to herd your turkeys into a safe pen when their instinct is pushing them to “Go to the Tree”? Our chickens go to the chicken coop on their own volition; in the same manner as the turkeys start looking for the tree as dusk approaches. And that is a good thing, because chickens appear to be impossible to herd or direct anywhere, whereas turkeys are quite easy to herd. I'll give the short version of turkey herding first (for those tired of my rambling) and then give you the long version if you so desire to read it. Two sticks, the longer the better. I use long bamboo, stay back and slowly guide them where ever I wish. Note: Turkeys seem to have an aversion to "Traps" -places in their opinion they cannot escape from. When reaching an area (normally a doorway) that they do not wish to enter: GO Slower and apply gentle pressure to make them move. Yes that simple. 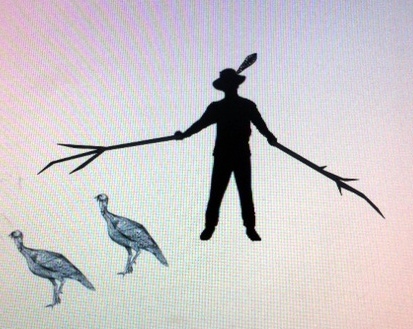 And interesting is the old photos you can find doing an internet search, the turkey herders have one or two sticks. As mentioned on the Hurricane Matthew Page, we had to herd approximately 30 free range turkeys into separate cages/pens in an outside garage. Things went surprisingly smooth, but the final doorway was always a challenge to get the birds to go through the door into a darkened room. 15+ years of raising turkeys and I noticed that the turkeys used their wings for more than just flying. Not sure why this surprised me, it just did. As mentioned, the toms will wing punch. 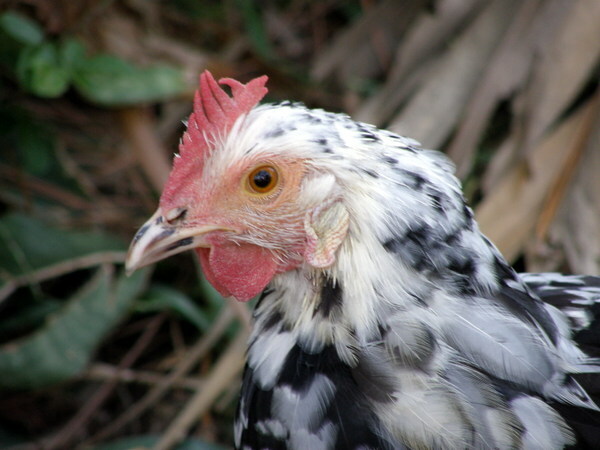 Both toms and hens will almost grab a difficult branch with their wings when perching at night. (Obviously they have no fingers but they still seem to use their wings to more or less hook or grab a branch while flapping. -they also use their head and neck to help reach a branch. However what really caught my eye was how the toms used their wing to guide hens around. Especially when there were hen fighting. The toms would put their wings out using them to interrupt the combatants. A non verbal signal saying, "Settle down, break it up now"
Of course the toms use their wings a lot to guide the hens during courtship, but it was the breaking up of fights that really was surprising. It almost seems if the turkeys are hardwired to guide and be guided by a wing! So I like to keep two sticks handy to explain to new turkey owners: "These are my wings" and show them how to simply guide the birds into their night pen. Personal space, people have it. The famous example is the different 'personal spaces' norm in different human cultures. As a north American, I don't really care for people so close they can count my nose hairs, but I know in other countries that is normal. So turkeys have a personal space. From what I can see, if you do not have two sticks and are attempting to direct the birds with your arms alone; you are in their safety zone and they can panic. So a couple of sticks to enlarge YOUR WINGS and you can stay back and slowly direct calm birds to wherever you wish. The flock or group. A survival concept used from Zebras to birds to schools of fish. Stay together and the predators- feathered, fury and finned have a more difficult time choosing prey; and many sets of eyes can scan for predators while others eat. 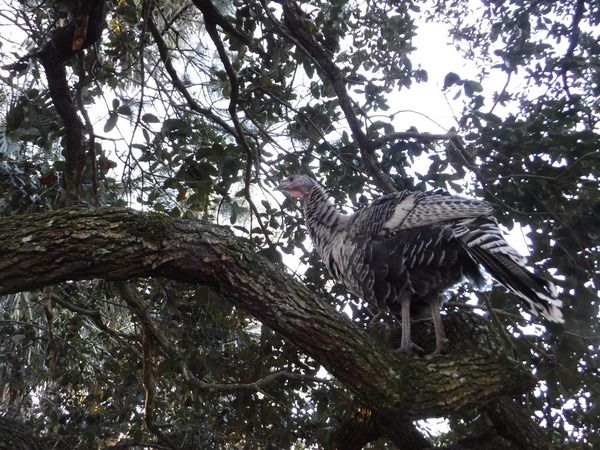 Turkeys are survivalists in a predator heavy environment. So even the long domesticated turkeys have the flock instinct. So when herding any turkey; you will have better success if you keep the flock together or at least keep a group of three to four together as you direct them to where you wish. If they start to peel off one by one, and all of the sudden you are down to one bird, it will panic when it sees the others moving away.